Are you a young vibrant and energetic individual who has a desire to succeed and win new business? Company Definition:AfricarTrack International Ltd is a Personal Vehicle Tracking and Fleet Management Solutions provider. We also provide Asset Tracking and Stolen Vehicle Recovery Tools. This is an award winning company having won COMESA Innovation Awards 2015 in Addis Ababa, Ethiopia during the AU Head of States Summit and African Achievers Awards 2015 in Sandton, South Africa. Therefore, we are currently seeking an experienced and professional Accounts, Finance & Admin Assistant to join our team. · Managing and reconciling the bank accounts, petty cash, MPESA and disbursements. · Filing and submitting all statutory returns as provided by the law (PAYE, VAT, NSSF and NHIF) on a timely basis. · Ensuring all payments have the relevant support documents: requisition, quotation, LPO, Delivery Note, invoice, acceptance of goods/services. · Preparing payment vouchers and ensuring all support documents are included in the payment prior to signature by the signatories. · Writing cheques and ensuring that payments are made based on budgets and monies available. · Preparing the payroll for approval by Management prior to making the payments. · Data entry to Quick Books or any other accounting system on a daily basis and ensuring accurate record is maintained. · Preparation of monthly reports on QuickBooks or any other accounting system this includes Management Reports, Profit and Loss Account and Balance Sheet. · Presenting the monthly reports to the Management on a monthly basis. · Maintaining and reconciling creditor (payable) and debtor (receivable) invoices on a monthly basis. · Archiving all financial records and ensuring that proper files are maintained and are traceable. · Preparing of all creditor (payable) and debtor (receivable) reconciliations on a monthly basis. · Preparation of all financial reports i.e. the trial balance, profit and loss account and the balance sheet every month of management decision making. · Ensuring records are complete and financial reports. · Following up on debtors to ensure that they complete their payments. · Recording orders correctly in the order book. · Visiting clients when necessary . · Undertaking physical asset counts. · Work with external auditors on all audit matters. · Ensuring all audit recommendations are adhered to. · Reports to the head of operations. · Any other tasks that may be allocated by the Management. · Degree in Finance/ Accounting. · 3 to 5 years experience in accounting. · AfricarTrack International Ltd is an equal opportunity employer. 1. Send an application cover email and CV to hr@africartrack.com. 2. 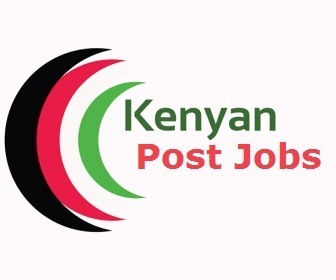 The subject of your email should be: APPLICATION/ACCOUNTS/JOB NAIROBI, 2018. · Your current area of residence. · State any previous employer(s) and their contacts. · Whether you are currently working or not. Closing date of this application is 30th August 2018.